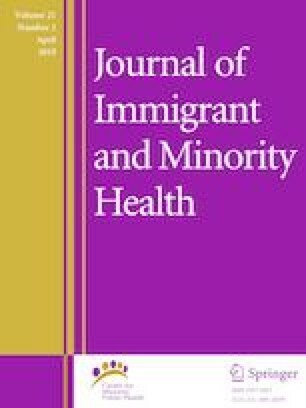 There is limited information on the oral health of Albanian immigrant population residing in the U.S. This creates a hinderance to developing and implementing appropriate dental care programs for the population. This study investigated oral health practices, beliefs, dental visits and associated factors of Albanian adults living in Milwaukee, Wisconsin. Purposive and snowball sampling methods were employed. Self-administered questionnaires were used to collect data on oral health practices, beliefs, dental visits and socio-demographic information. Descriptive and multivariable logistics regression were conducted. Overall, 266 adults were recruited, 54% male, 56% have lived 10 or more years in the U.S., 95% rated their oral health as excellent/good and 87% reported having a dental visit in the last year. Age, ability to speak English, having a usual source of dental care, and reporting excellent/good oral health were associated with having a dental visit in the last year. A substantial number of Albanians adult reported a dental visit in the last year and those that did not write or read in English had lower odds of reporting a dental visit. This study was supported by National Institute of Dental and Craniofacial Research (Grant No. R03DE024494-02). Migration Policy Institute. U.S. immigrant population and share over time, 1850-present. This chart displays both the number of immigrants residing in the United States and their share of the total U.S. population over time. http://www.migrationpolicy.org/programs/data-hub/charts/immigrant-population-over-time?width=1000&height=850&iframe=true. Accessed 7 July 2017. Zong J, Batalova J. Frequently requested statistics on immigrants and immigration in the United States. Migration Policy Institute; 2016. http://www.migrationpolicy.org/article/frequently-requested-statistics-immigrants-and-immigration-united-states. Accessed 7 July 2017. US Census Bureau. American Community Survey. People reporting ancestry; 2009. http://factfinder.census.gov/faces/tableservices/jsf/pages/productview.xhtml?src=bkmk. Accessed 27 Nov 2016. Nedelkoska L, Khaw N. The Albanian Community in the United States Statistical Profiling of the Albanian-Americans. Center for International Development at Harvard University; 2015. pp. 1–28. https://projects.iq.harvard.edu/files/albaniagrowthlab/files/usadiasporaprofile_final.pdf Accessed 27 Nov 2016. LibGuides: Cultural Approaches to Pediatric Palliative Care in Central Massachusetts: Albanian; 2016. http://libraryguides.umassmed.edu/c.php?g=499760&p=3422601. Accessed 15 May 2017. Department of Sociology. Accessing Hidden and Hard-to-Reach Populations: Snowball Research Strategies. University of Surrey; 2001. http://sru.soc.surrey.ac.uk/SRU33.pdf. Accessed 27 Nov 2016.